Rion’s vision is to become market leader in maintaining security and safety for everyone and everything in best condition by providing Sound and Vibration instruments and technology. 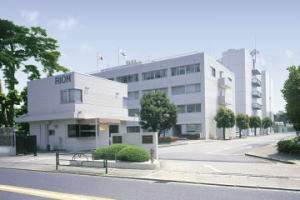 Rion was founded in 1944 under the name of Kobayasi-riken Co.,Ltd. to commercialize the products based on the results of research activities by the Kobayasi Institute of Physical Research, a foundation dedicated to the study of physics and acoustics. Rion started to manufacture crystal elements for acoustic equipments and their applied products, as the first manufacture of such products in Japan. After that, Kobayasi-riken started to manufacture and sell the first hearing instruments in Japan with aiming to solve the stress for hearing-impaired people and to make their speech communication better. “Rionet” hearing instruments, as the brand name of Rion hearing instruments, have been familiar and popular and keep on taking top market share in Japan. It also spreads such network worldwide. In 1960, Kobayasi-riken changed its name to Rion, which derived from Ri of Rigaku meaning science + On from Onkyogaku meaning acoustics. 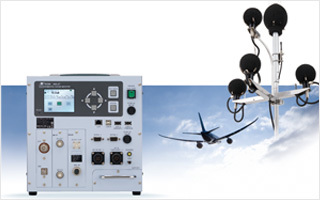 In addition to hearing instruments, Rion provides wide range of products to various fields. Medical instruments typified by audiometers are used in the field of otolaryngology. Sound and vibration measuring instruments are demanded by government agencies and industries to protect environment and quality in manufacturing. Particle counters are indispensable for cleanliness management of semiconductors, pharmaceuticals, and precision equipment. Not only domestic but also international, our products get good evaluations from customers. As mentioned above, Rion has tried to keep the technologies and to challenge for new technologies. Rion is proud of its role for promoting social welfare, for contributing to safe and comfortable life and to technological innovation, and will strive for achieving its mission. Through activities to environmental issues, precise manufacturing, facility maintenance etc. Sound and vibration technologies by Rion have continuously supported and contributed to people’s life, industires and societies. In the middle of 1900s, the noise problems generated by factories, traffic and building constructions became serious issues in city area in Japan. Based on its own technologies of acoustic instruments, such as sensors (microphone, earphone, pickup etc) and hearing instruments and the strong collaboration with Kobayasi Institute of Physical Research, Rion started to develop sound level meters. 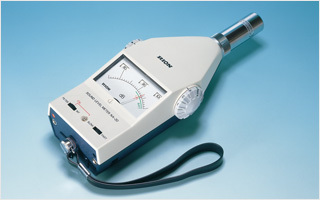 In 1956, handy type sound level meter was introduced and was used widely for noise protection, industrial health etc..
Rion have been providing the outstanding sound measuring technologies and instruments in collaborations and cooperation with administrative bodies and Kobayasi Institute of Physical Research. While high economic growth in Japan, pollution problems became worse any area in Japan. Noise problem, regarded as one of important pollution problems, had to be cared and solved. After enforcing several regulations and laws in Japan, Rion sound level meter NA-09 was introduced as the first approved sound level meter according to the Measurement Law. After that, Rion sound level meters have continuously advanced with meeting the demands by the market, such as easy operating in the field, recording function, analysis function etc. Rion sound level meter NA-20 series, which was introduced in 1978, was the epoch-making product with IC-circuits and with meeting international IEC standards. Vibration is another problem for people living in cities. Vibration from factories and from traffic/roads became the social problems and the vibration meters to be used with easy operation in the fields had been required. Rion developed the vibration meter (for vibration pollution) with utilizing technologies of piezoelectric ceramic and signal processing to meet the social needs. 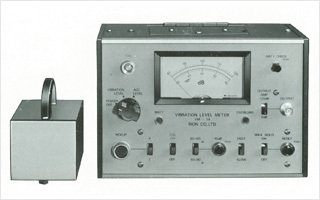 Rion vibration level meter VM-14, which was introduced in 1976, was used widely with wide dynamic range, maximum value hold etc. Aircraft noise was one of the important pollution problems in Japan. 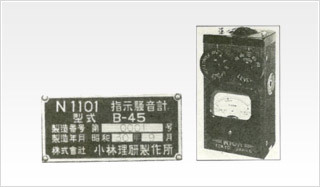 The aircraft noise monitoring systems developed by Rion in 1979 were supplied to governments and municipal offices in Japan which needed to meet with aircraft noise problems, because the system had not only the function of noise monitoring but also of detecting function of flight direction. After that, Rion aircraft noise monitoring system was developed to on-line monitoring system connecting among the monitoring points around the airport, and set around Narita International Airport and many airports in Japan and around air bases in Japan. After 1975, manufacturers have needed to reduce the volume of sounds and noises and such functions should be included in the products. In automotive industry, running noise and exhaust noise were the problem to be reduced and also users required to have silent space in the vehicles. The demands of “”Silent”” products were much increased in household appliance and OA industries too. To meet with such demands, Rion have been developing sound and vibration measuring instruments. For example, running noise measuring system for automotive industry, and architectural acoustics measuring system for housing and building materials manufacturers and sound power level measuring system for household appliance and OA manufacturers for supporting the “”Silent”” products designing, the various measuring instruments by Rion have been used effectively for production and R&D in many companies. It is an essential matter for Japan, as having many earthquakes, to establish the system of disaster prevention. Rion measuring instruments have been contributed to this field with the professional technologies of accelerometer, reliability and durability. As the examples of Shinkansen and trains, Rion seismometers support safety operation connected with the train control devices. Rion accelerometers monitor vibration to prevent any accident of dams in Japan. The control systems connected with Rion seismometers operate automatically to brock and recover the power in transformer substations in the case of earthquake occurrence. Rion measuring instruments also support the safety operations of petrochemical complexes, chemical plants, steel factories etc. The equipment diagnosis technologies according to Vibration Regulation Act had been required by the industry field, after the time to rely on such works to human experience. Rion developed the handy-type vibration meter VM-61 and software for equipment diagnosis to contribute fro the improvement of maintenance technologies. For such purpose, Rion further developed pencil-type vibration meter as the smallest in the world, vibration meter with analysis function etc.. These measuring instruments have been used for vibration measuring of rotating machines such like motors, turbines and pumps. Rion measuring instruments contribute to prevent accidents with diagnosing any defect, product life cycle and risk from the result of measurement and to save the maintenance costs.